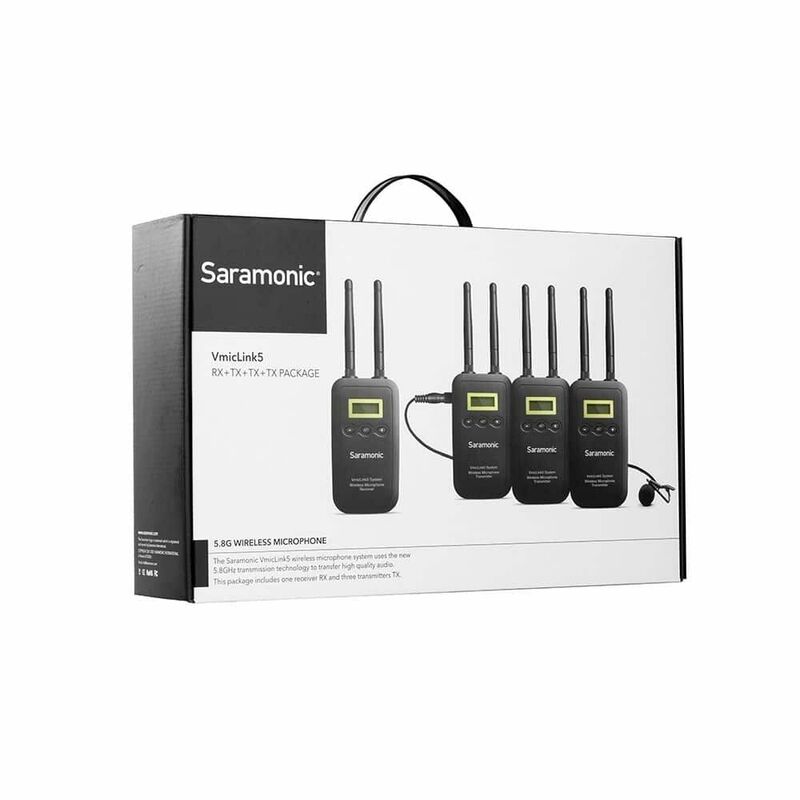 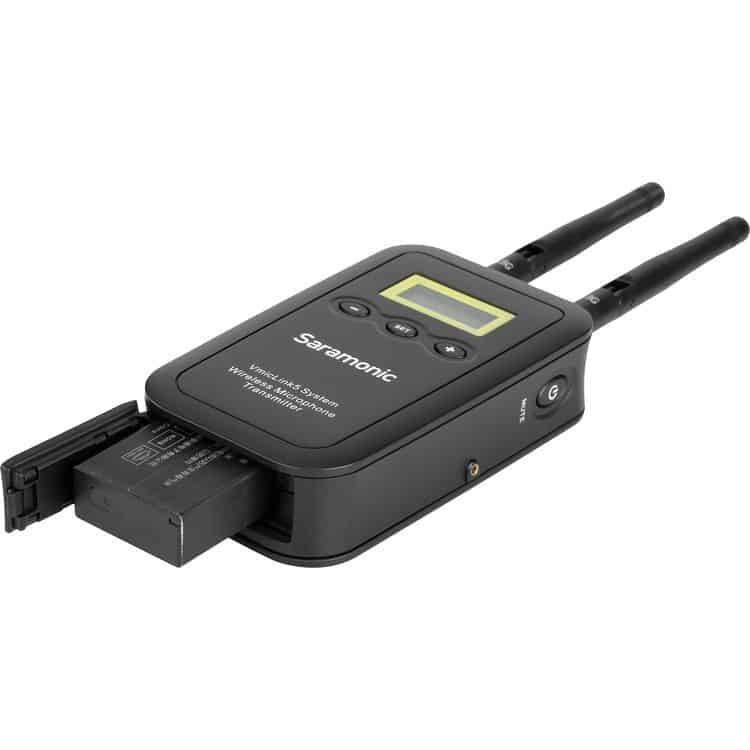 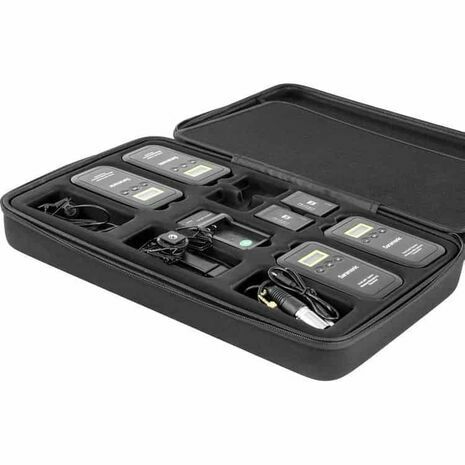 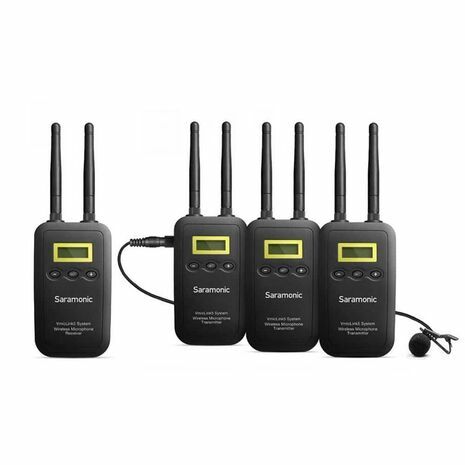 The VmicLink5 5.8 GHz SHF Three Wireless Lavalier Mic and Receiver System from Saramonic includes one portable VmicLink5-RX HiFi receiver with detachable antennas, three VmicLInk5 TX Hi-Fi bodypack transmitters, three lavalier microphones, and four lithium-ion rechargeable batteries. 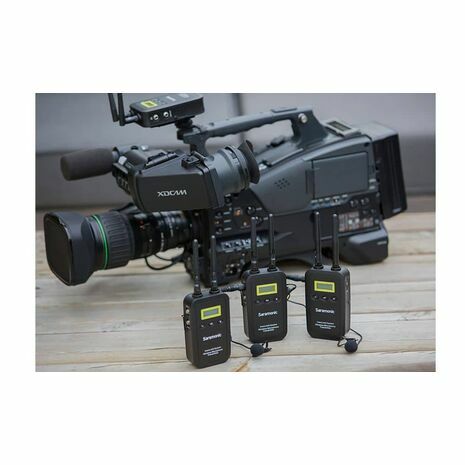 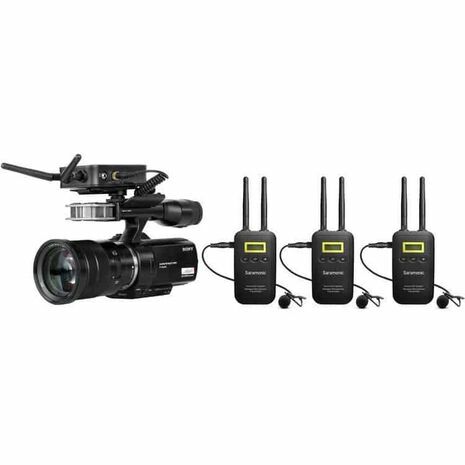 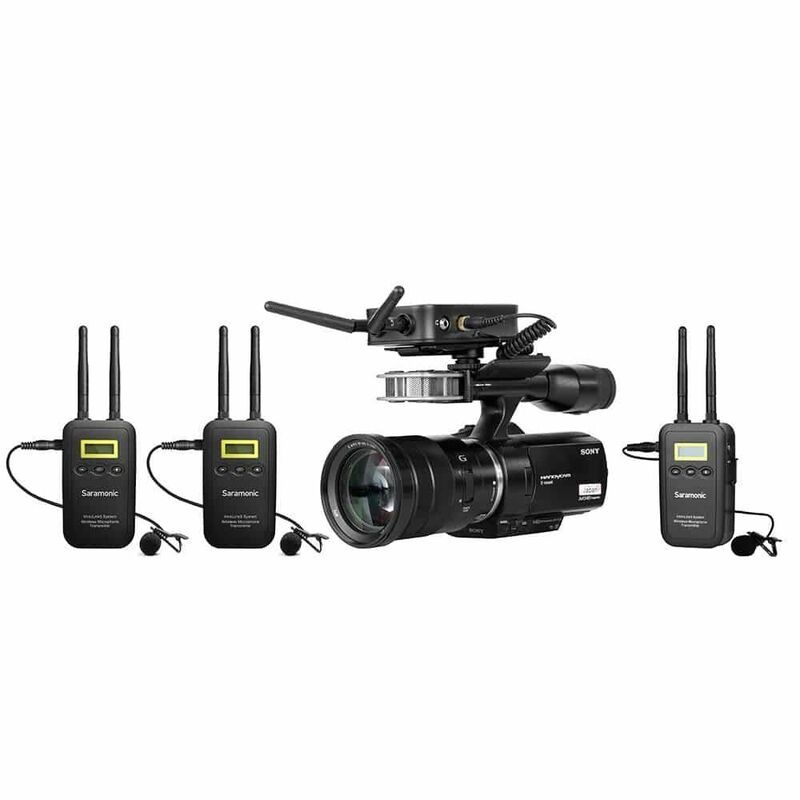 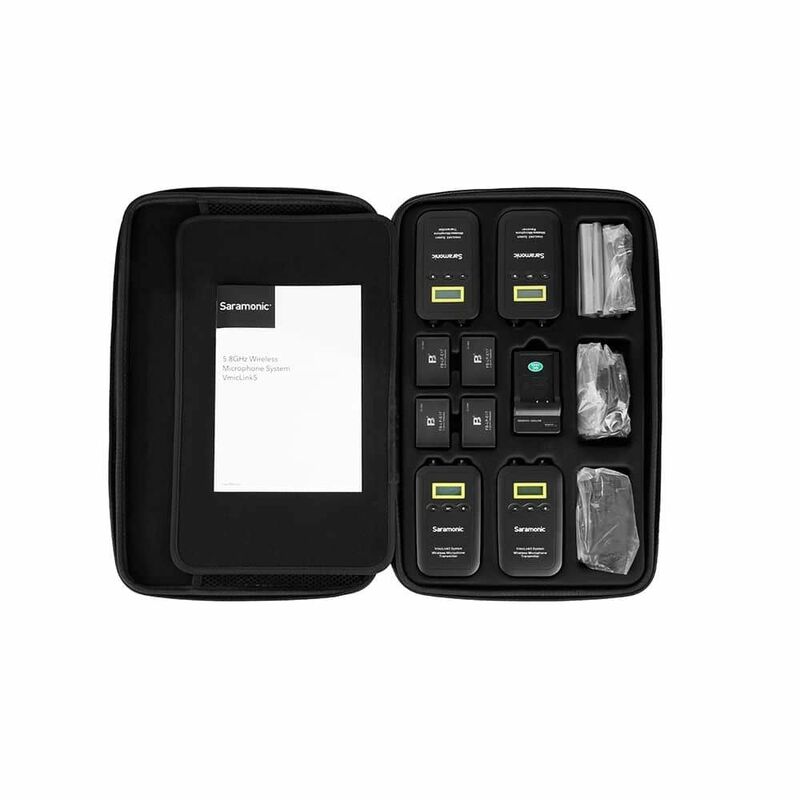 The three-channel system can be used to capture audio for DSLR video, field recording, filmmaking, and broadcast TV applications with up to three subjects simultaneously. 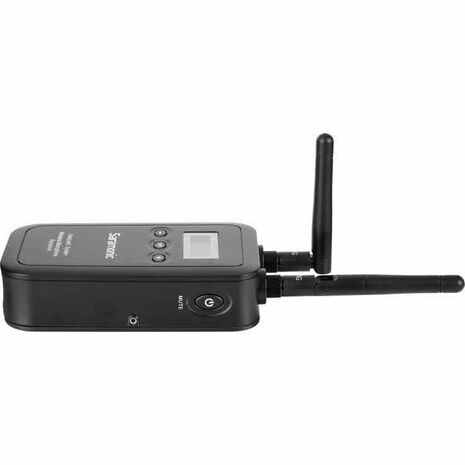 The VmicLink5-RX is a camera-mountable integrated wireless receiver. Featuring an easy-to-read LCD display and DigRF synchronization between transmitter and receiver, the receiver has a selectable output mode that allows you to choose the output signal in mono or stereo. 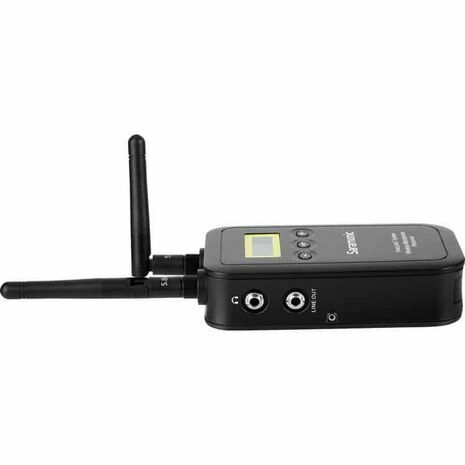 The VmicLink5 TX transmitter is equipped with a crystal-controlled PLL synthesizer and is built with a mute function. 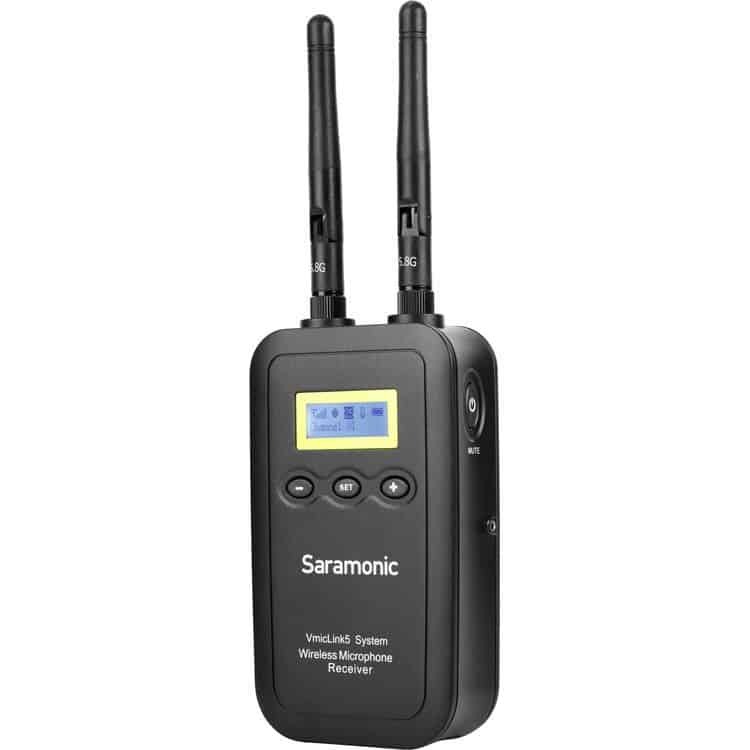 It has lock-type mic and line-input connectors and is designed to work in the 5725 to 5875 MHz frequency band. 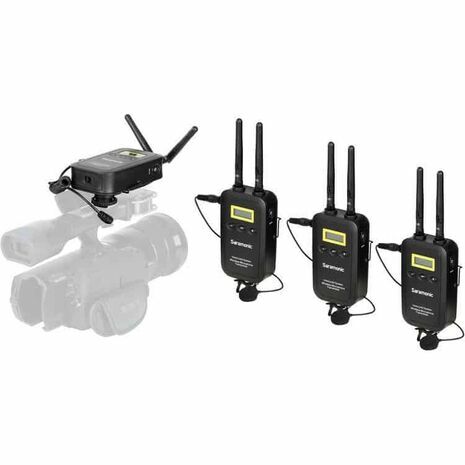 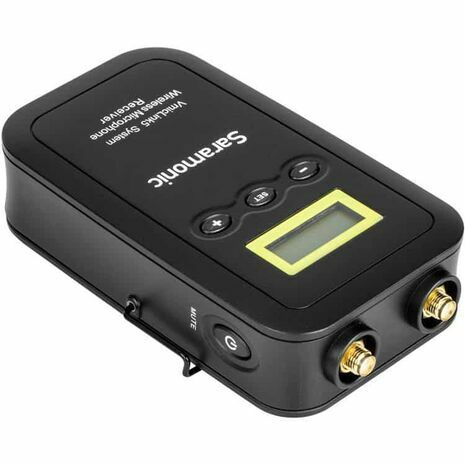 In addition, the VmicLink5 5.8 GHz SHF Three Wireless Lavalier Mic and Receiver System can constantly monitor and hop between frequencies and maintain the strongest possible signal level at a range of up to 30 meters.